Thread: leCoultre Vintage Pilot's Watch. Military Issued? What do you think? Looks like a JLC/leCoultre Weems without the numbered bezel and second crown at 4 o'clock, doesn't it...? Made enquiries with Zaf as to whether he has seen these before. He confirms that he has but couldn't verify if they were military issued. Don't know what you'd think but looks like the same type of case and I believe the case is stainless steel with ss case back cover similar to the Weems. Instead of a rotating numbered bezel like the Weems, there seems to be an plain aluminum bezel fitted. Also confirmed by Zaf. I was also told by Ilja from Zaf's JLC forum that the aluminum bezel rests on a ring shape groove similar to that on the Weems. Will try and get more info from JLC to confirm movement dates and if there is a possibility of it being military issued. Until then if anyone knows more about this mysterious piece please do let me know. Another fascinating post, Dan. Whether the watch is issued or not, surely the date engraved on the back alone makes it desirable for any military collector? I for one would certainly like it in my collection. 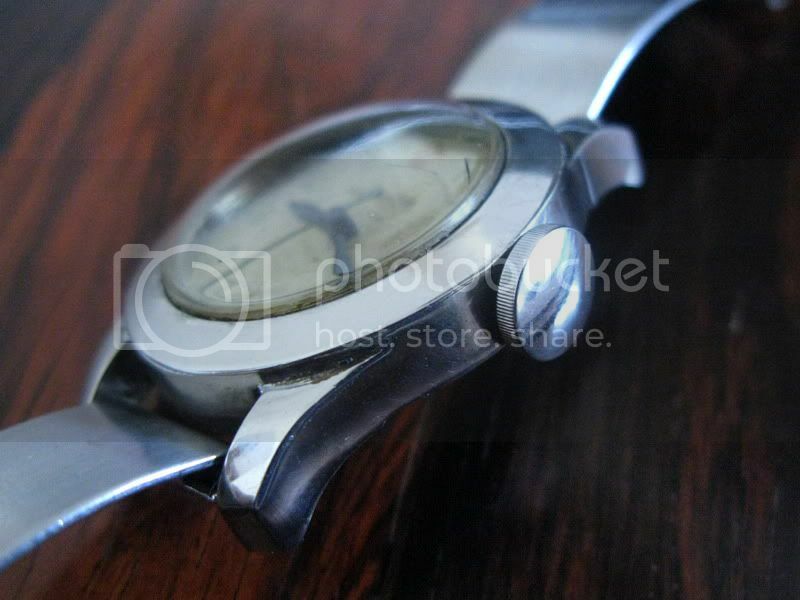 Beautiful patina on the watch and that strap suits it a treat. It's just a guess but I would suggest that if it did belong to a serviceman, he would have been an American, despite the German sounding surname (remember that BBC series "Private Schultz" with Ian Richardson and Michael Elphick? Here's the wikipedia link http://en.wikipedia.org/wiki/Private_Schulz_(TV_series). (The engraved date was also Janis Joplin's birthday but that's hardly relevant here). Why an American? The date - the month is engraved before the day, U.S. style. Europeans would have placed the day before the month. 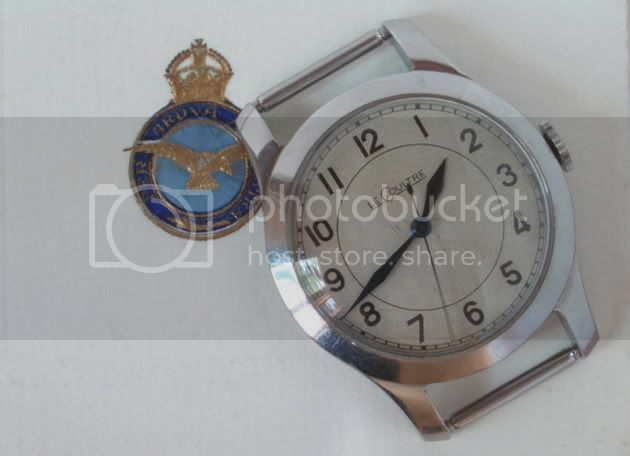 It may not be a Weems but it would be good to think that the date marks when Alex Schultz was awarded his pilot's wings. Have you thought about checking with the U.S.A.A.F. for his service records? Mind you, the Weems was for navigators - perhaps this simpler style was preferred by Schultz as he was a pilot, maybe flying larger aircraft such as bombers which had a dedicated navigator? Last edited by StampeSV4; 09-02-2010 at 17:13. I noticed that about the date. Also the movement is stamped VXN. According to Zaf movements with this marking were destined for the US market. How would one do a check with the U.S.A.A.F. for services records? I tried searching for a site, but no luck. Would you have a link to it? Good luck - I did find an Obit from last year for an Alex Schultz that served in the Navy in WWII, from Youngstown OH, but the chances of this being your guy are very slim indeed. Had a look at the site. The general public can obtain limited info.. but with only a name & a date, which I do not know the significance of, it could be too complicated and incur a cost. Maybe I will try the National Archives and see how far it goes. Very good looking watch and it certainly has a military style but I would think it is a civilian issue. Watches issued as military watches are always numbered - All military services have an obsession with type numbers and serial numbers on all equipment that they issue and these numbers are very clearly and indelibly marked, so no numbers = generally non military unless someone has machined out the numbers. Hi Dan, cool watches... whatever they are...aren't they called Weems? I believe the Weems refer to watches with the flat numbered bezel with a second crown at 4 0'clock, used to lock the bezel or if its the Longines the second crown is at 2 o'clock. From what I can gather the JLC Mk VII range consist of the bezel Weems and the later replacement non bezel variants or Non-Weems of the 6B/159 JLC/leCoultre. 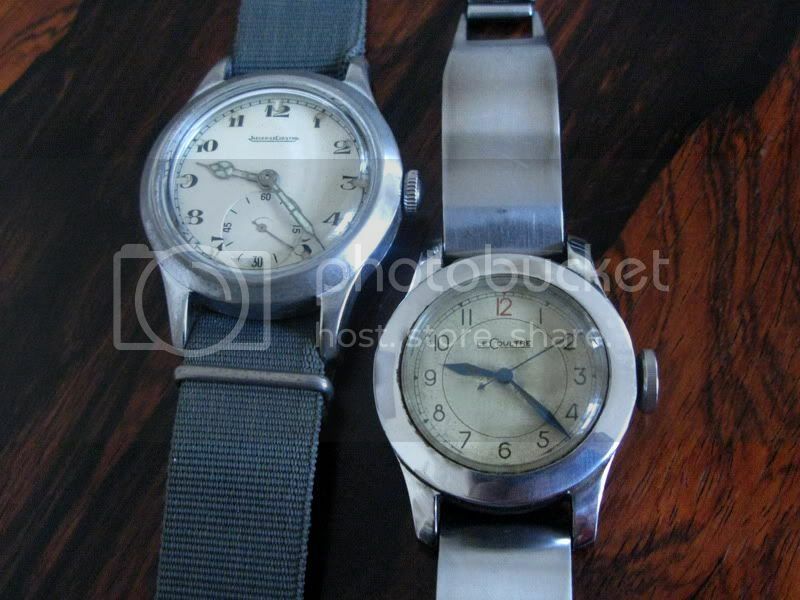 Here is another watch identical to mine except the bezel looks to be stainless steel or is very polished. Its owned by Clavi on watchprosite. He/She mentions that it was sourced from the military but has no mil markings. I've tried to enquire further as to which branch but am still waiting for a reply. The movement serial is approx. 200 later then my example. I have to add that the movement on your example is perfect - like it just left the atelier. Amazing - the other example looks like it's been used to sweep the workshop by comparison. I do love the brutally simple design of this watch - wide bezel, thick lugs, very large and smooth crown - definitely designed to be grasped with gloves. 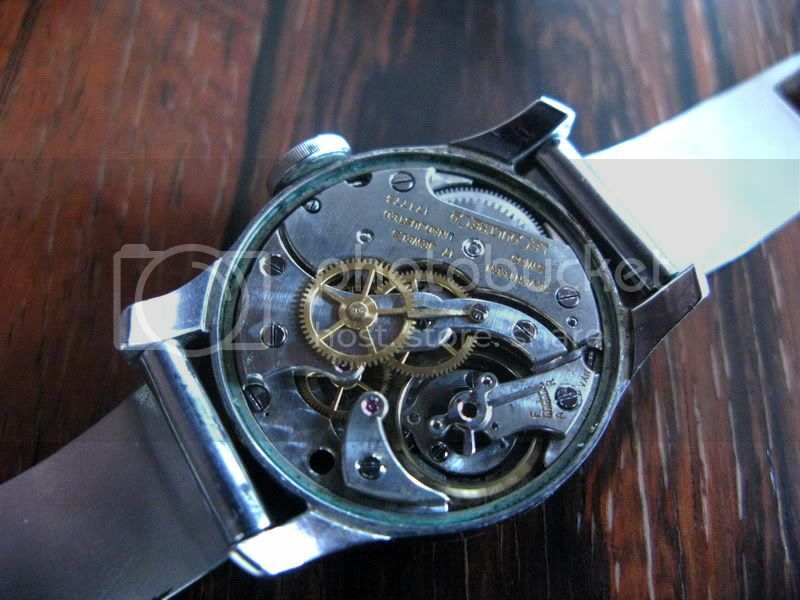 It actually has the original plated brass spring bars, same as those on the stainless steel chunky case JLC 6B/159. I should have taken pics of the watch without the strap but due to my impatience at getting it strapped up for wear, I didn't.